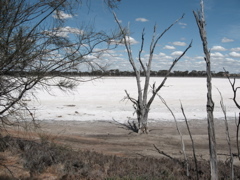 The Bullock Hills Road crosses a salt lake, dry and very white at this time of year. 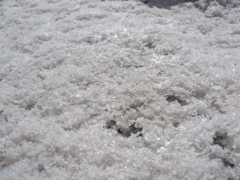 The thick crust of salt reflects light off its crystal surface. There is dark softness underneath. 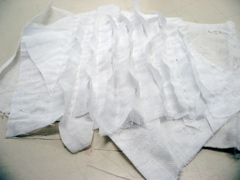 Layers of white cotton cloths, geometrically stitched and cut create a regular textured surface. Silk would be more reflective.